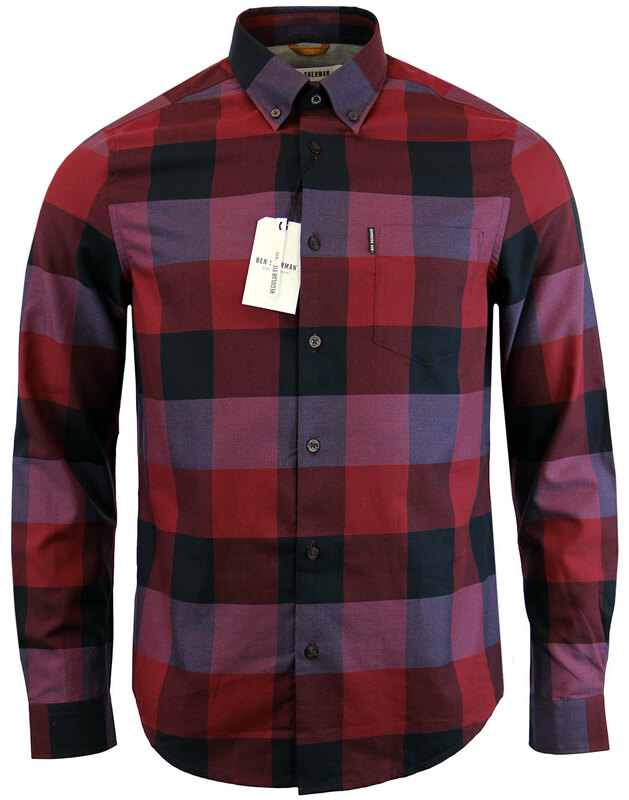 Ben Sherman Men's Retro oversize gingham check shirt in ruby red. Subtle blended colours create an awesome block check fabric that pitches a herringbone texture with soft 2-tone contrasts. Classic 1960s Mod button down collar and neat chest pocket finish the shirt off in style. 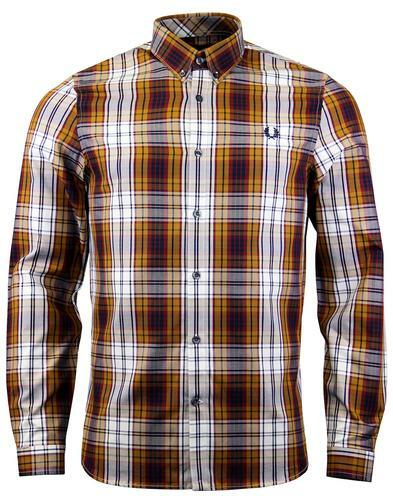 A stand out Men's Mod shirt that is sure to add a smart and sophisticated edge to your attire. 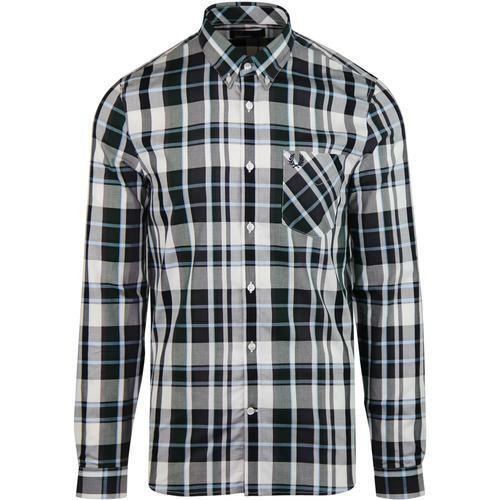 A true Retro Clothing classic from the masters of the button down, Ben Sherman. 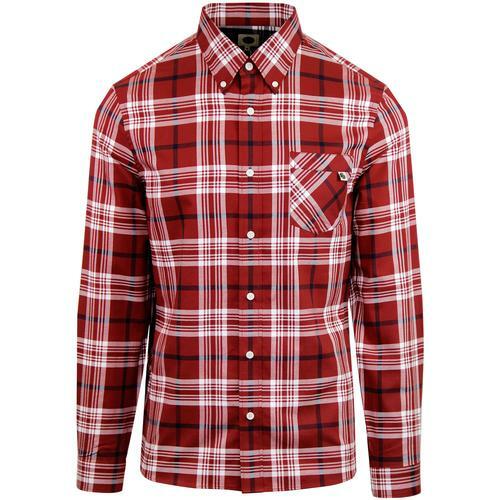 Ben Sherman men's retro oversize gingham check shirt in ruby red. - Herringbone textured two tone fabric. - Patch pocket to chest with Ben Sherman woven tab sign off. - Contrast trim to inner back neck. 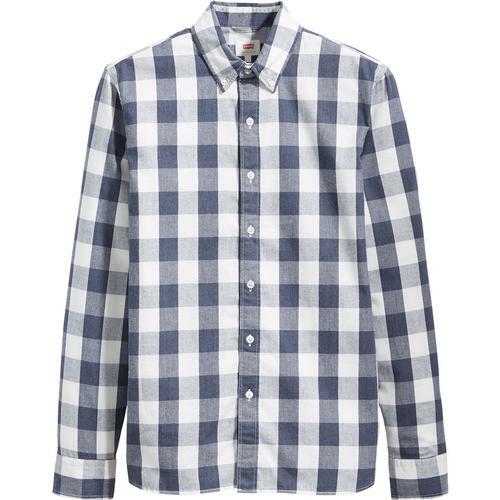 - SKU: MA13000 6133 L/S Oversize Gingham Shirt.